Proteins are essential for energy and growth. They're also referred to as the building blocks of life, as they are in every cell of the human body. During digestion, protein foods are broken down into amino acids and are intricate for critical functions such as growth and tissue repair. We all need to be sure we are getting the essential amino acids through a balanced diet to maintain good health. These nine essential amino acids are histidine, isoleucine, leucine, lysine, methionine, phenylalanine, threonine, tryptophan, and valine. Food sources that contain all nine essential amino acids are soy products, meat, poultry, fish, seafood, milk and eggs. Most plant foods have some of the nine essential amino acids. Eating a varied selection of vegetables and legumes, as well as a small portion of protein every day will provide you with the proper amount of amino acids your body needs. Amino Acids, Vegetarians, and VegansThe nine essential amino acids that your body** can't produce** are found in animal-based proteins. While this might sound problematic for vegetarians and vegans, it is actually quite manageable. 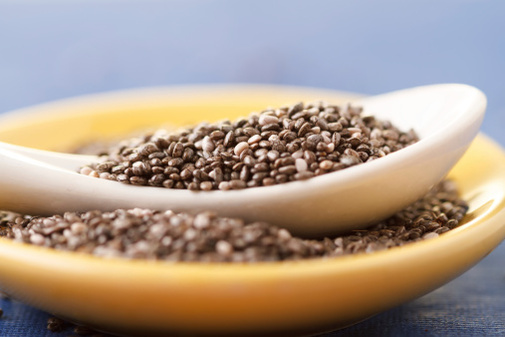 Certain plant proteins do contain all nine essential amino acids, specifically quinoa, hemp seeds, chia seeds, and soy. For example, beans are low in the amino acid lysine but when combined with lycine-plentiful rice a complete protein source is had. Other combinations can be hummus and pita, or tofu and rice. Keep in mind that it will be necessary to keep track of the proteins you are eating and their chemical makeup to maintain adequate consumption of amino acids. Another recommendation is having a good protein shake to help address essential amino acid needs. Consumption of high-quality protein powders which contain all nine compounds will certainly help resolve any essential amino acid deficiencies. An excellent diet addition that will help insure you are meeting your daily demand for essential amino acids is Vegan Raw Protein Powder with Amino Acids from Garden of Life. The product is raw, vegan, certified organic, gluten-free, dairy-free, lactose-free, and soy-free. It has no pea protein, no preservatives, no artificial flavors or sweeteners, and no synthetic nutrients. Garden of Life Raw Organic Protein Vanilla** 631g Powder is available on Amazon for $31.25** at the time of this writing. Or it can be found in your local health food stores.